A bus bar is a place where electrical connections are gathered together for distribution. 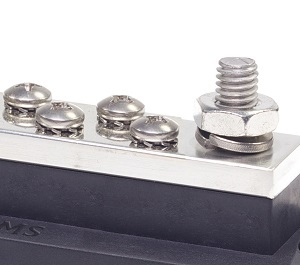 The bus bars by Blue Sea Systems shown here are made from tinned copper. In a bus bar all the incoming wires are connected together. 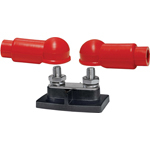 Terminal blocks are used to connect multiple wires together in pairs, each incoming wire is paired with an outgoing wire. Adjacent wires are only connected together if a terminal jumper is used. PKYS sells all the parts you need to service and maintain your yacht to protect your investment for many years to come. 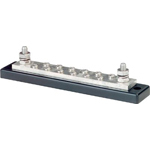 A busbar is a gathering point for electrical connections to distribute that energy evenly. 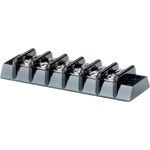 Terminal blocks connect multiple wires into pairings, ensuring that each incoming wire is connected to an outgoing wire. The two parts ensure that you maintain complete control over your electrical system, helping you to save money on power costs and helping you to maintain the safety of your yacht. 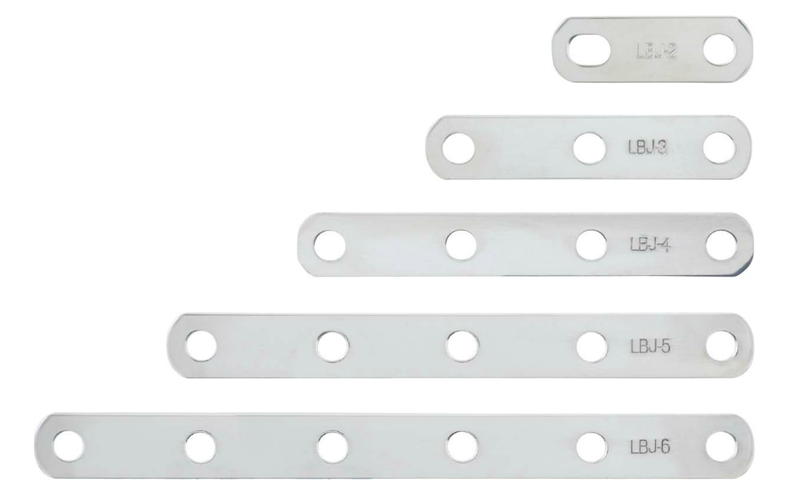 PKYS sells busbars and terminal strips for your yacht to help you overhaul your electrical system or to replace outdated parts. 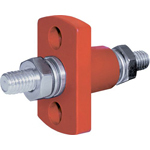 Our catalog also includes the accessories you’ll need, such as power posts, terminal feed throughs and junction boxes. Talk with one of our customer service representatives if you are unsure of what parts you need or if you have questions about installation.